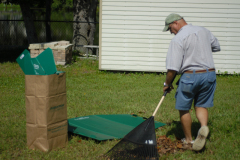 Leaf Chute Device | LeafEasy leaf chute with leaf bag holder. Leaf Chute Device | LeafEasy leaf chute with leaf bag holder. 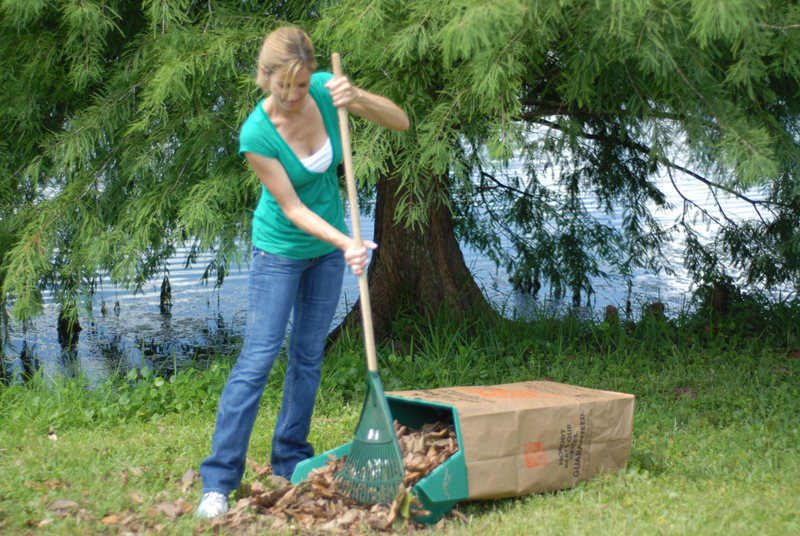 The leaf chute or leaf bagging device or leaf bag holder is used to bag leaves. Buy one today. We highly recommend our leaf chute device over any other product on the market. 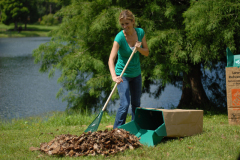 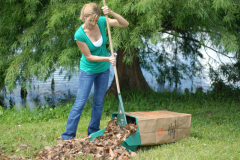 Shop today for the ultimate leaf bagging device and leaf bag holder. 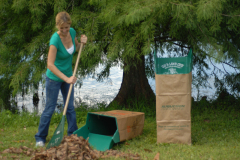 The Leaf’n’Lawn Chute or our Leaf Chute is a tri-fold sheet of high-density plastic that easily forms into a 3 sided box shape that helps keep the paper bag upright and reinforces the sides of the bag to prevent ripping, or seam bursting. 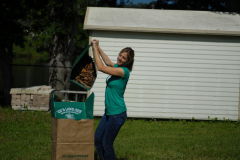 The top of the leaf chute device folds back on itself to form a funnel shaped chute, which makes filling the leaf bags much easier and more efficient. 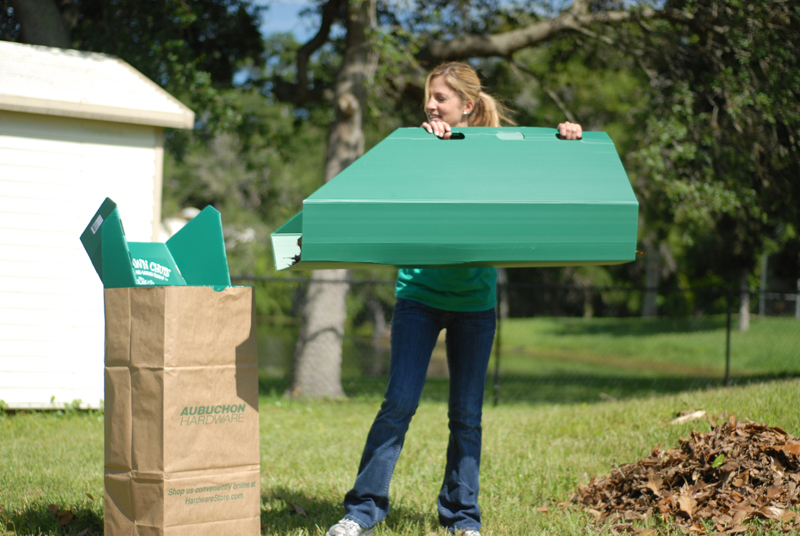 Because the Leaf’n’Lawn Chute is made from a single sheet of plastic there are no moving parts, or assembly required. 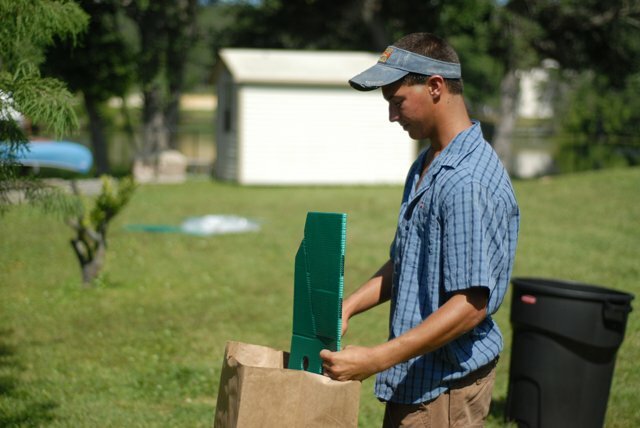 The user simply unfolds the sheet, to form the “3 sided box shape” then presses in on the top portion (as marked), to form the leaf chute. 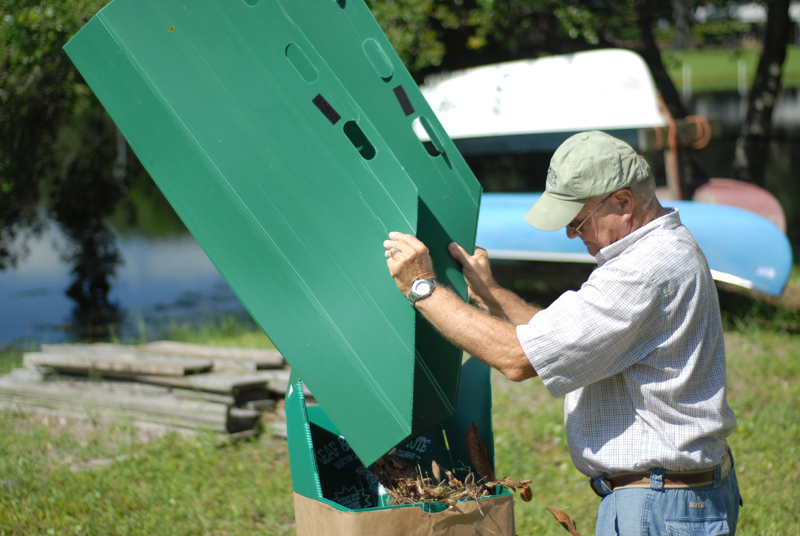 The user then slides the assembled leaf chute into the bag and is ready to begin filling the leaf bag. 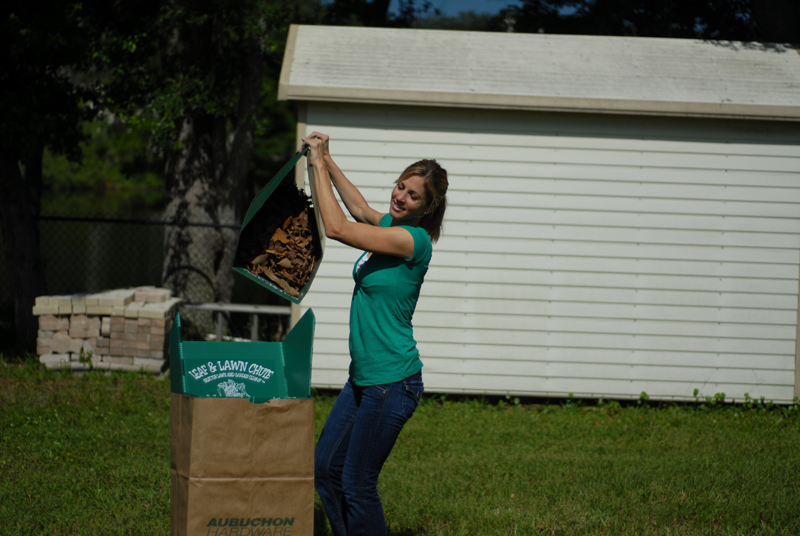 As the leaf bag is being filled, the user can compress the debris so that they can fit more material in each leaf bag. 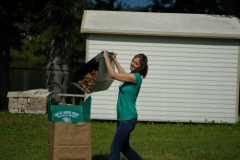 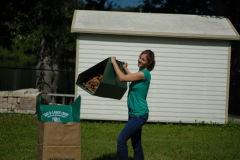 The sidewall strength provided by the Leaf’n’Lawn Chute allows the user to fit approximately 20% more debris in each paper leaf bag, so fewer leaf bags will be used. 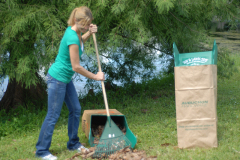 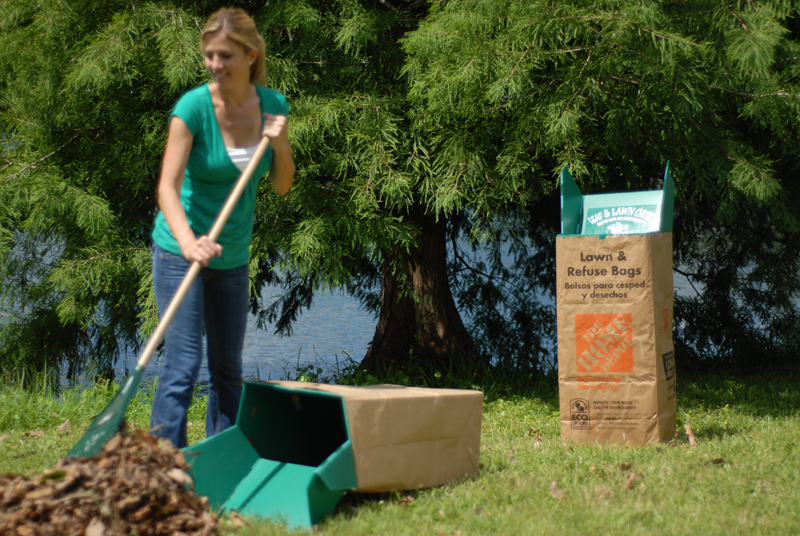 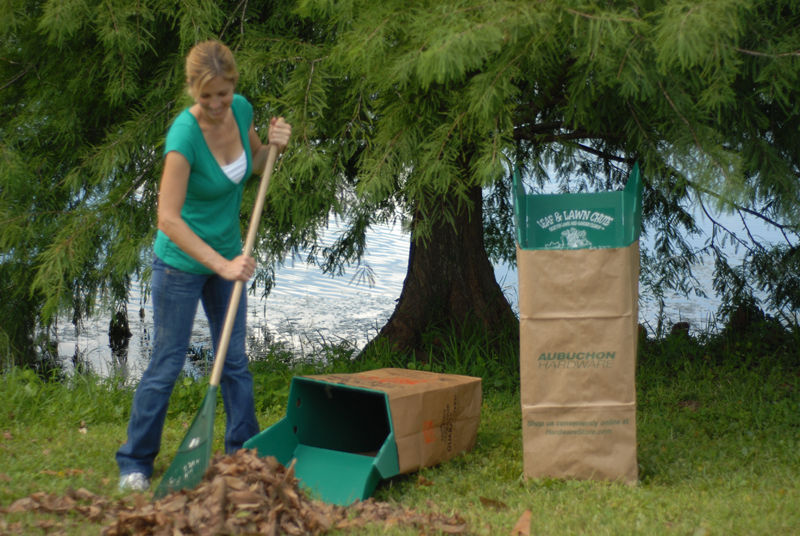 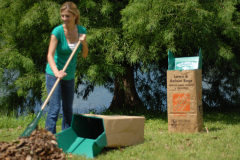 Most paper leaf bags have a weight capacity rating of 50 pounds, but without the Leaf’n’Lawn Chute, it is difficult to compact the debris enough to come anywhere near the maximum weight capacity. The Leaf’n’Lawn Chute is durable and reusable. 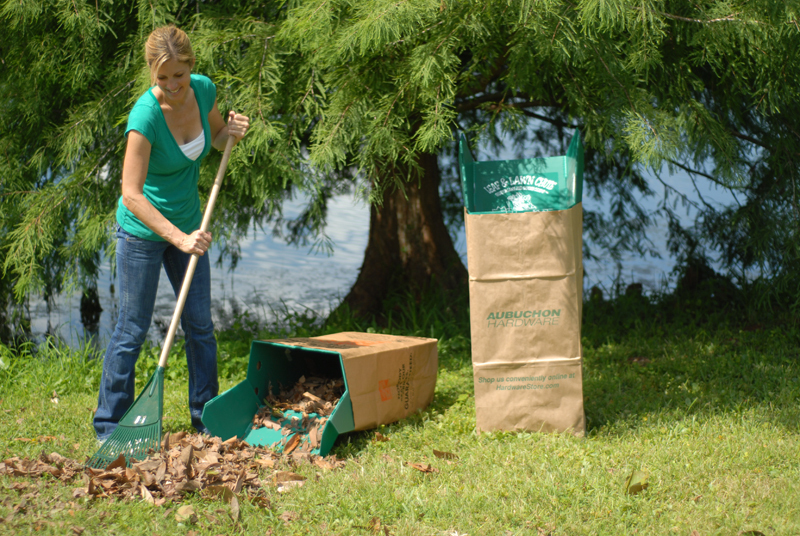 After filling the leaf bag the Leaf’n’Lawn Chute is lifted out of the paper leaf bag easily and cleanly, and then folded almost flat for easy storage. 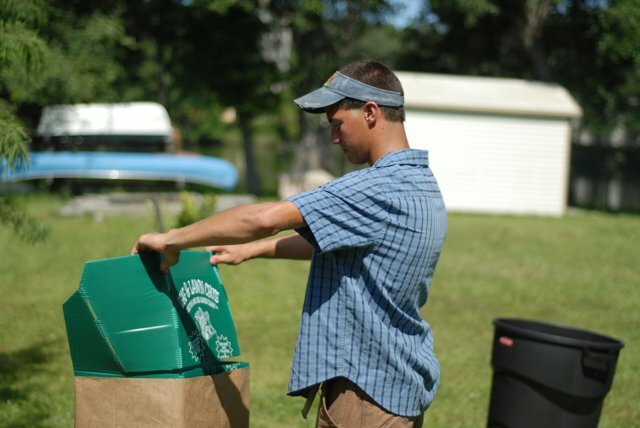 The plastic manufacturer has stated that the material will last through 500,000 fold and refold cycles without splitting or breaking apart.